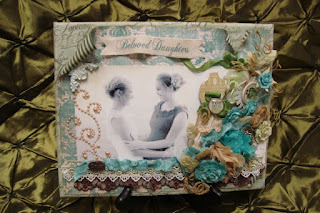 Just finished watching Janet Coulter's first Design Team video on how she made her Altered Picture Frame. The colors match her Home Decor. I love how beautifully it turned out and all the details she put in to really make this picture frame something special. 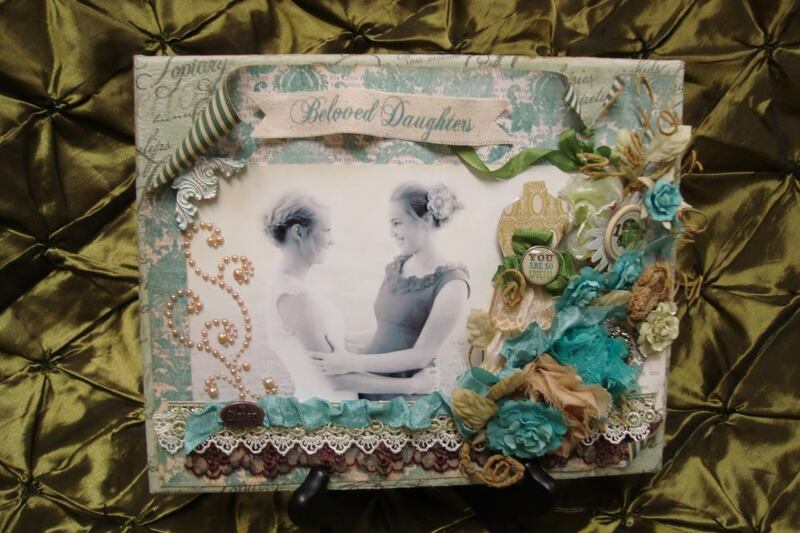 The Title of the frame is, "Beloved Daughters," and I think that she could have also put "Beautiful Daughters," because her daughters are so beautiful. For more information on Janet's Project, here is her video. Products used from our Etsy Shop, will be listed below.